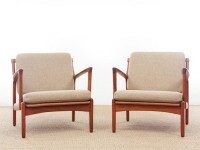 Bröderna Anderssons is one of Scandinavia's leading soft furniture producers. The company, now led by the third generation, has existed for almost 100 years. Company policy is to produce a range of elegantly designed, high quality sofas and armchairs and a wide choice for customers. The Bröderna Andersson range of products is extensive. 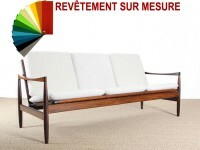 Customers can choose from 40 different models of sofa and 20 armchairs in over 300 different fabrics and leathers. The company offers timeless classical designs as well as models inspired by the latest trends. In the company’s own development centre work is is continuous to develop new products and designs. Quality is Bröderna Anderssons word of honour. Each component used has been tried and tested extremely carefully. Quality is the main theme behind the choice of materials and methods of production.The production processes themselves are based on years of experience of traditional workmanship now combined with modern means of production. Each operation is carried out with great skill. It’s all about quality and choice options for you. It’s not just the simple selection of a piece of furniture. You have over 300 pieces of beautiful fabrics to discover and choose from.The company has at its disposal a large production capacity, with a production area of more than 30 000 m2. The products are marketed through a selective but comprehensive network of agents.